In addition, Planck’s detectors were also sensitive to the ‘polarisation’ of the light – whether it vibrates in a preferred direction. Since grains of interstellar dust tend to align their longest axis at right angles to the direction of the Galaxy’s magnetic field, the light emitted by these grains is partly polarised, and scientists use this information to reconstruct the ambient magnetic field. The orientation of the magnetic field is shown as the texture of the image. 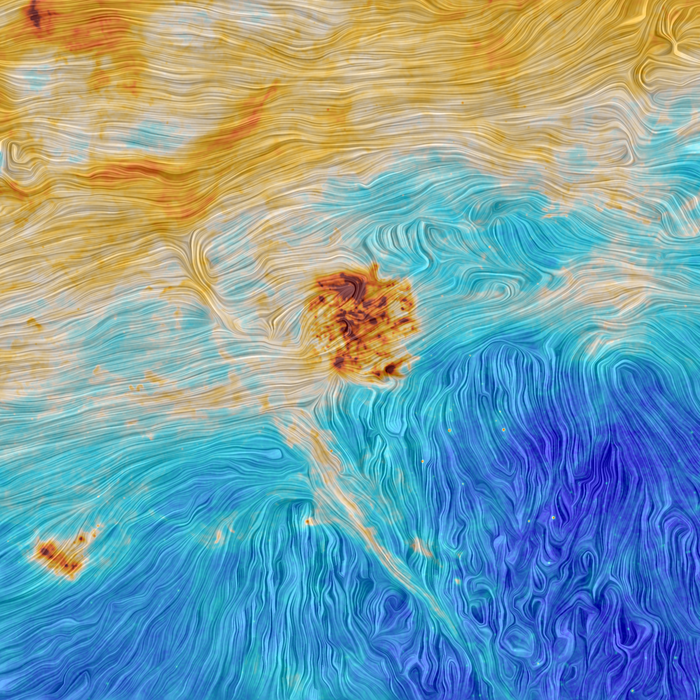 In the picture, we see the Magellanic clouds imaged like that. Remember those iron fillings around a magnet in school? Yeah, this is the modern, satellite-based, science-on-steroids version of that. Now read this: Where do rainbows go to hide? Next Aurora season is upon us!